You need water for every system in your body. Water is essential to avoid dehydration. 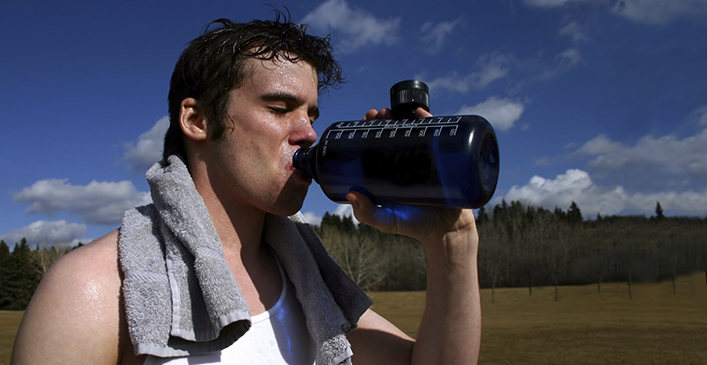 Dehydration will decrease the blood flow to your muscles, causing cramping pain. Cramping pain will leave you prone to muscle strain, and at the very least, limit your ability to exercise. In addition, dehydration can leave you feeling lightheaded and you can risk fainting. You should aim to drink 8-10 glasses of water each day in general. When you are exercising, you should increase your water intake, as you will lose fluids through sweat during your activity.